Spin, spin, spin. 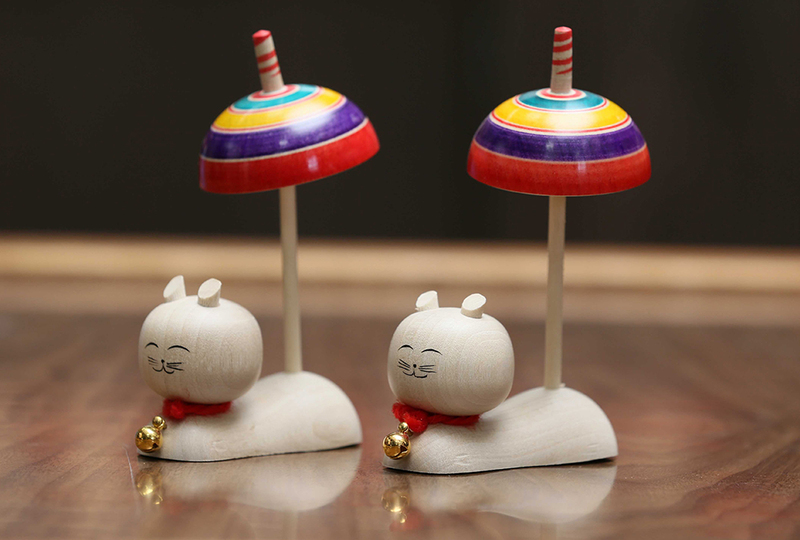 Some toys made by Michiaki Hiroi are simple disks painted bright colors. Some are complex machines with many moving parts. 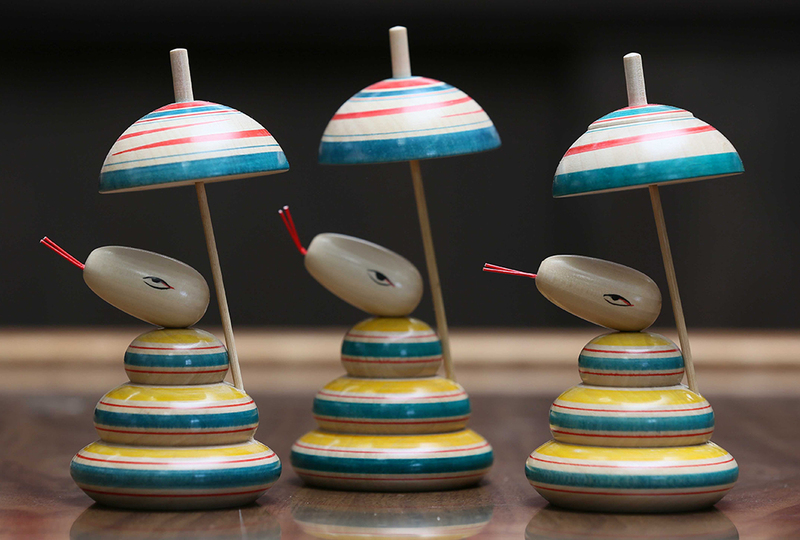 The fourth-generation Japanese craftsman hopes children of today won’t stop playing with traditional toys like his Edo-style spinning tops. In addition to being the old name for Tokyo, “Edo” is also the name of the era from 1603-1868 in Japan. The Edo period saw the rise of a new middle class. People had more free time and spending money. Arts and culture exploded. Edo-style spinning tops were part of that explosion, says Tamara Joy, a museum curator in Florida. Morikami Museum owns a collection of tops, many by Hiroi and his students. 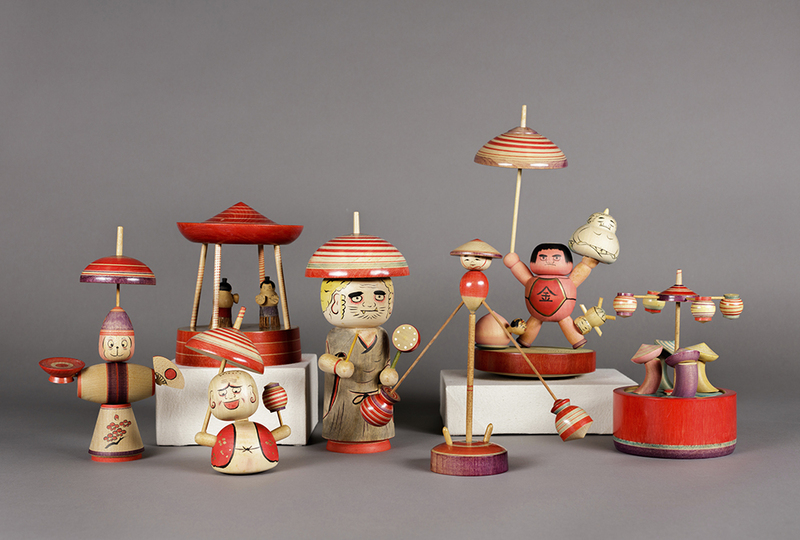 Edo-style tops often feature carved figures and depict scenes with characters that dance, transform, or fight. One is a smiling woman holding a mirror and patting her face with makeup; another is a man eating yarn noodles while his pink tongue whirls. Figures may come from folklore or theater. There are also whimsical scenes like sumo-wrestling frogs. Balancing the tops is the most difficult part of the craft. 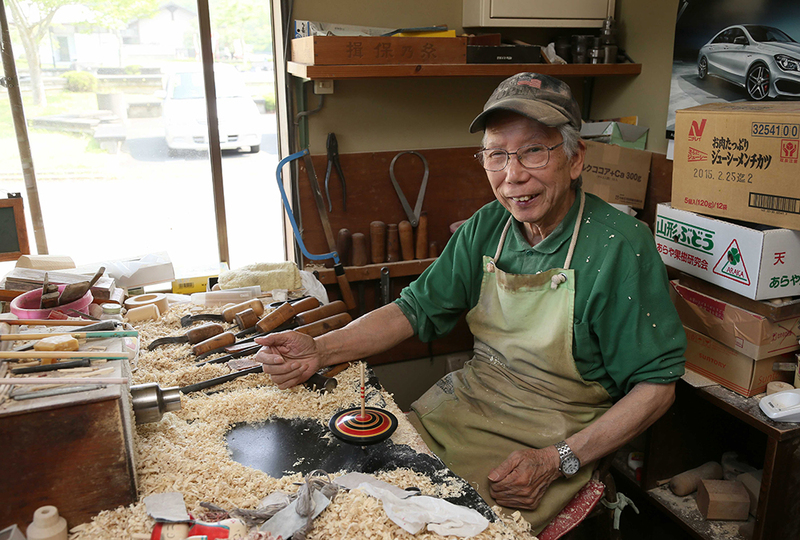 Hiroi says it’s difficult because the age and weight of wood varies, affecting the spin. He keeps working until his top balances perfectly. Sometimes he wakes in the night to perfect a challenging one. Hiroi’s early tops often contained commentary about Japan’s ruling classes. “There was a lot of sticking it to the people who were in charge,” says Joy, the museum curator. Hiroi has always brought his personal experiences and culture to his craft. One of Joy’s favorite tops depicts a common Japanese figure of amusement, the spear-bearer who led samurai processions. Joy says, “You couldn’t directly make fun of the samurai, but you could poke at them and their egos through this character.” On the top, the samurai’s spear moves around clumsily when his head spins. Marty is Badger Technologies’ aisle-roving robot. That is neat! Those are really cool and cute tops. like al little bity movie on a top. you couldn't binge watch but it would still be cool. I love tops! They are so fun! 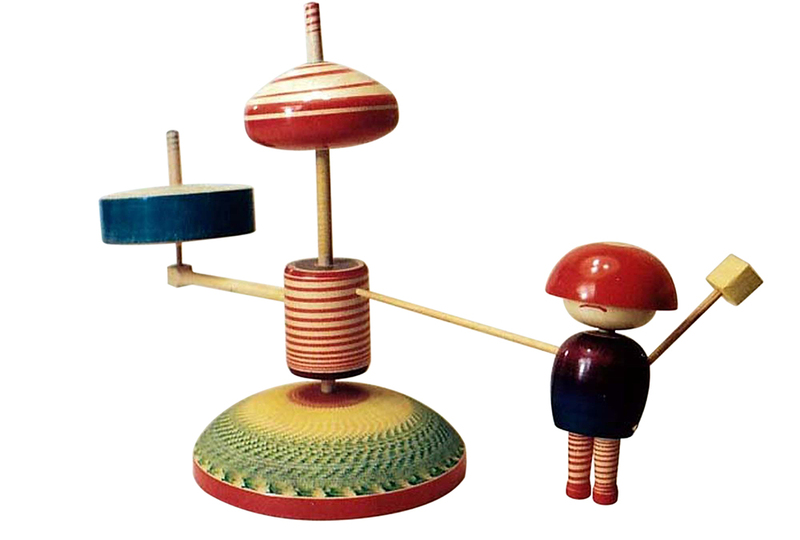 There is a toy called Bayblades that are supposed to to be tops, but they are very boring and need a ripcord to spin them. It's cool that tops can be used to tell short stories. U are right Nathanael! It is cool they tell short stories. Pop! Smart After you've read all of the stories in the March/April Pop! Smart section, take the quiz and test your knowledge.